Location is everything when it comes to cryptocurrency mining. If a city or town has naturally cool weather and ready access to inexpensive electricity, it’s only a matter of time before bitcoin miners start setting up shop there. In the case of the Canadian city of Medicine Hat, Alberta, the area’s innate appeal to cryptocurrency mining firms has just translated into a $77 million ($100 million CAD) investment in new construction spending by Toronto-based Hut 8 Mining. 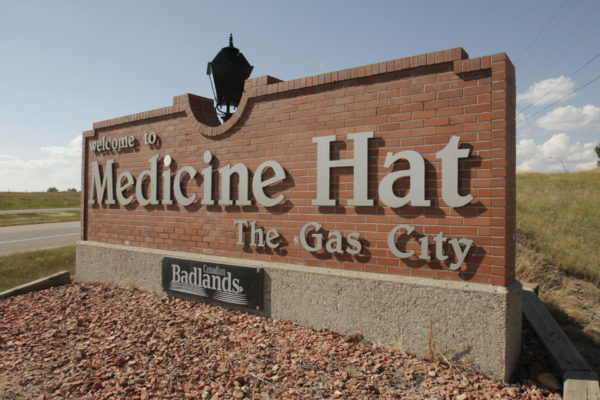 The deal was approved by the City of Medicine Hat earlier this week. The City of Medicine Hat will provide 42 megawatts of electricity to new mining facility, which is slated to begin construction this month. Combined with Hut 8’s current facility in the nearby city of Drumheller, the company will have roughly 60.7 MW for their crypto-mining operation. Although the per-Watt rates were not disclosed — Hut 8 simply called the rates “cost-competitive” in the press release — Medicine Hat regularly promotes its low-cost industrial power rates to attract new businesses to the area. The new facility is slated to be completed and running at full capacity by September of 2018, and is expected to bring 42 permanent jobs to the area. The new construction is already fully funded, a situation almost certainly aided by Hut 8’s partnership with the Bitfury Group. 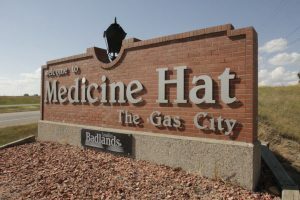 As bitcoin mining operations increasingly seek out locations with the lowest-cost energy prices, relatively remote areas like Medicine Hat may soon find themselves at the center of the cryptocurrency regulation discussion. Last week, the city of Plattsburgh, New York, made international headlines for being the first U.S. city to place a moratorium on new bitcoin operations. The New York State Public Service Commission also revised its rules last week to allow municipal power authorities to raise rates for cryptocurrency miners, as many NY residents are concerned about increased prices for domestic electricity due to the area’s crypto-mining boom. Similar discussions are taking place in Washington and Oregon, where cheap hydroelectric power has even attracted major mining hardware companies like Bitmain. It doesn’t take a bitcoin calculator to see just how competitive the cryptocurrency mining market is about to become as larger and larger facilities begin to operate on these industrial scales.